By buying this product you'll earn up to 96 Rewards points. This package of six rough-in pans lets you mark locations for, and safely mount, Bose® FreeSpace® 3 Series II Bass Module flush mount speakers in new construction. Overview: The Bose FreeSpace bass module rough-in kit is designed to mount up to 6 FreeSpace 3BF bass modules in new construction hard-deck ceilings. 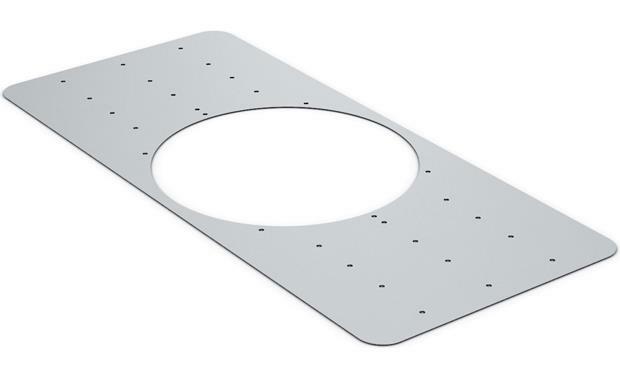 Multiple screw holes are provided for matching up to different ceiling stud widths and the 14-5/8" speaker opening is sized for the Bose FreeSpace 3BF bass speakers. Searches related to the Bose® Rough-in Pans Package of 6 pre-construction mounting brackets for Bose® FreeSpace® 3 Series II Bass Modules.